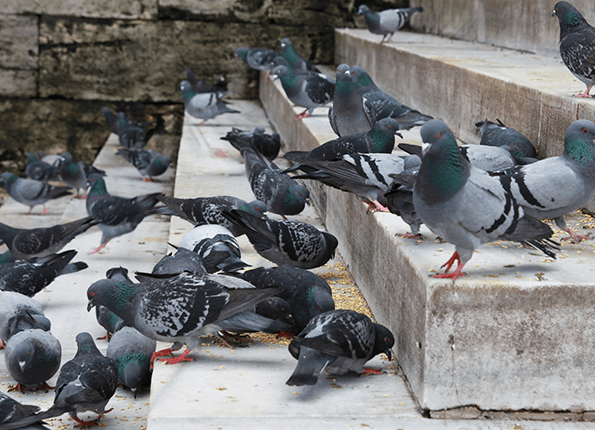 Pigeons are considered one of the most important urban pests, constituting a nuisance and a serious risk to health, like other birds such as sparrows, starlings, thrushes or magpies that can be a real problem for industries that process any type of food as for some producers of the agricultural sector, especially the cereal. They are carriers of mites, ticks and other pests that can cause allergies and bites to people. Their droppings cause damage, dirty facades, roofs, gutters, vehicles, with the consequent economic cost that entails and produce unpleasant odors and can even be dangerously slippery. Many times additional resources must be allocated to clean façades stained with excrement or clogged rain gutters. More serious are the effects that certain bird pests can cause in crops and grain stores by devouring huge amounts of grain. 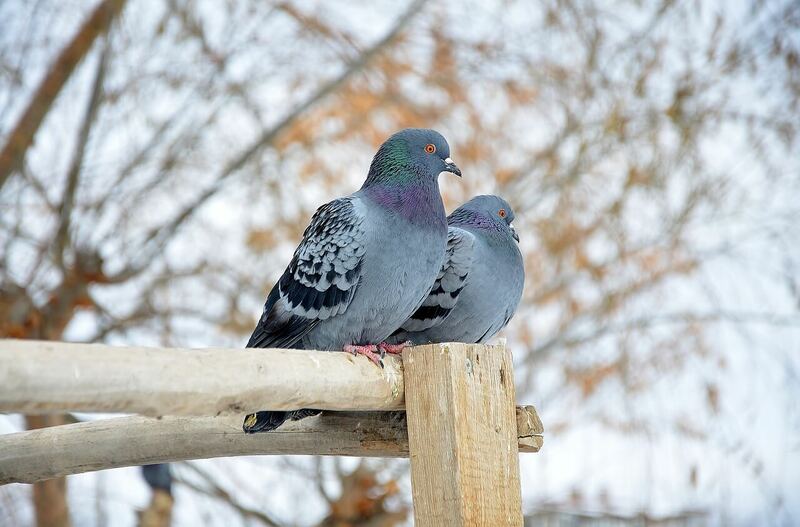 In pest control of birds there is not a single method suitable for all cases. It depends on each particular situation, the species to be controlled, the number of specimens and their link to the place you want to protect. Repellent gel that prevents the nesting. It is recommended for particular situations where you do not want to affect the aesthetics of the place to be treated. Skewers and quills. It involves placing stainless steel rods in the places they use to perch. There are different sizes and formats to place the most appropriate to each situation. Anti-bird networks. Consists in the placement of networks in holes to prevent access of birds to buildings, roofs, courtyards of lights etc. There are different formats and sizes of network to be able to choose the best option according to the bird that is causing the problem. Visual repellents (scarecrow balls) especially indicated for flocks of birds that cause discomfort, due to its spherical design and bright color. The movement of this ball, together with the bright colored streamers that hang on them, scares the birds in an immediate way. Cages of capture. 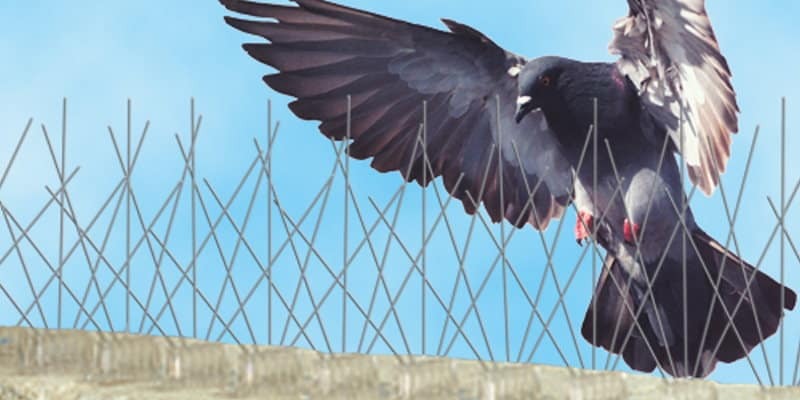 This bird control system consists of the placement of large cages to capture the pigeons. Inside the cage there is a large feeder and a drinking trough to attract birds and prevent them from dying in the cage. The feeder is fully programmable. The doors through which the pigeons enter can be configured so that they can only enter or so that they can also leave. This is especially useful when the cage is placed so that the birds get used to it. Once they enter and leave the cage with total normality and make it their feeding point, the cage is configured so that they can no longer go out and catches are made. The main difficulty is the eradication or control of birds presents is precisely their ability to fly.Its great mobility, added to the legal restrictions regarding the use of poisons, requires the use of pest management methods that have greater or lesser efficacy, depending on each specific case. In any case, there is a wide variety of solutions that can be used in accordance with the facilities to be protected or preserved.